Ever since Samsung announced the date that they plan to announce what we are assuming will be called the Galaxy S4, the leaks, ridiculous fake imagery, dummy box appearances, and speculation has quadrupled its previous pace. We feel as if we have some sort of an idea as to what we can expect during Thursday’s announcement, but then again, Samsung mostly trolled us leading up to last year’s Galaxy S3 launch and then jumped on stage to show us a phone that we had only seen moments before its unveiling. So what can we expect? With so many rumors floating about, we thought we’d put everyone at Droid Life to the test, including you, the lovely reader. It’s time to make predictions, bold ones. What will the specs be? Color options? Launch date? Will it look like the Galaxy S3 or something different? Will Samsung even mention the processor or will it be mostly a software presentation? Any celebrity stage appearances? Will LeBron dunk on Jeremy’s face with a Note 10.1? Let’s hear it, in the comments. Tim is going with a 1.8GHz quad-core processor (Exynos globally, Snapdragon in the U.S.), 2GB RAM, 8MP rear camera, 3.5MP front camera, 4.9″ 1080p Super AMOLED display, and Android 4.2+. He’s thinking five color ways: Pearl White, Slate Grey, Garnet Red, Onyx Black, and Ocean Blue. The device will be available in 230+ markets by early April. His celebrity endorser is Alicia Keys (who must be leaving Blackberry already). Eric thinks it will probably look pretty close to that image we saw that looked eerily similar to the GS3 because Samsung is set in their ways as far as that design goes. He does think this is Samsung’s big chance to make their “Octo Exynos” processor a household name so that will be packed in there, along with 2GB of RAM, no SDcard slot, 10-13MP camera on the back, 4.8″ to 5″ as far as a screen size and it will be full 1080p resolution. He hopes that they spend big and make the screen OLED. 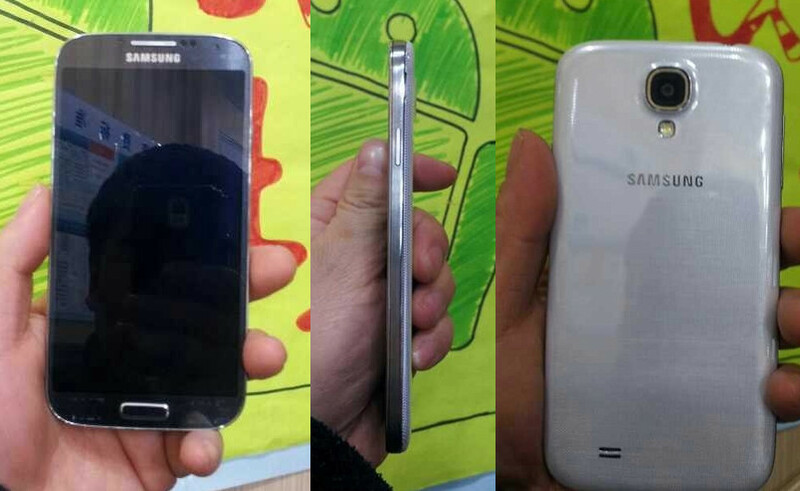 Color options will be similar to the GS3 – black and white or blue and white. I expect the launch to be somewhere this summer, possibly July. Whenever the next iPhone will be announced you can expect this to be in people’s hands. $299.99 at Verizon and $199.99 everywhere else. As far as looks go, I don’t think Samsung will change a damn thing from the Galaxy S3. We’ll all be saying the same things we do after iPhone launches, “That’s it? No innovation. It’s the same phone!” when we know it’s not.